This is a very nice razor from the 1960's. It's a Schick Lady Eversharp Injector Razor in NOS( New Old Stock) condition. That means that it's unused and waiting for an owner for more than 5 decades. It's Made in USA. Each razor comes with two vintage Schick Super Chromium blades. It can be used from both men and women. 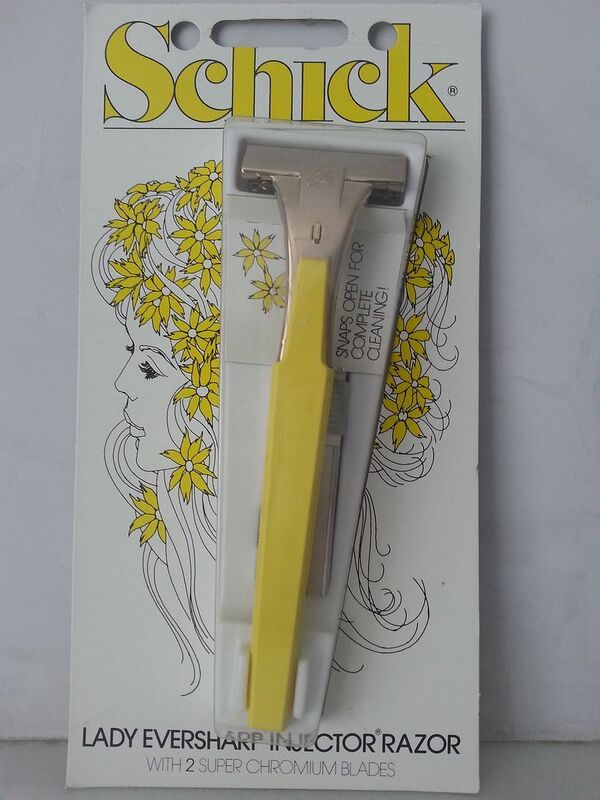 The only difference with the other Schick razor of that era is the longer yellow handle. Also, it has the Hydro-magic lever. So, it's very easy to clean it after the shave and make it look like new. It's a great shaver. Personally, I use it almost exclusively when I want a comfortable, smooth and quick shave. The vintage Schick blades that come with the razor perform really good, they're sharp and smooth. Overall, I am sure that no one will be disappointed with the performance of this razor, quite the contrary. 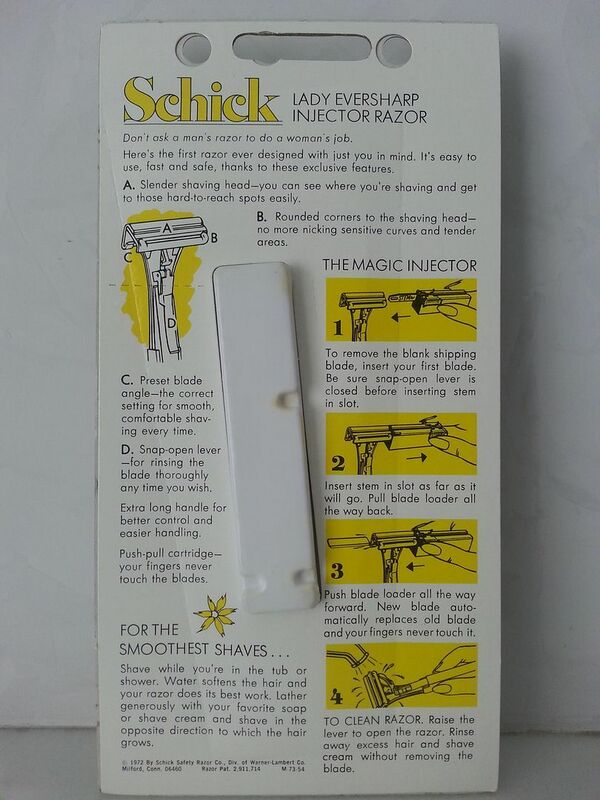 It's a great opportunity to try a Schick Injector Razor in NOS condition or keep it in your shaving collection, since it's a vintage razor that is very hard to find in an excellent condition. I am offering ten of them. The price for each razor is 29$ plus 7$ for the shipping cost. If you have any questions, please don't hesitate to ask me. Only 5 are now available! Only 1 NOS razor is now available!